Tata Motors registered a healthy 19% growth in sales in February 2012 including passenger and commercial vehicles sales. Tata Motors’ total sales (including exports) of Tata commercial and passenger vehicles in February 2012 were 92,119 vehicles, higher by 19% over February 2011. The company’s domestic sales of Tata commercial and passenger vehicles for February 2012 were 86,704 nos., higher by 19% over 73,039 nos., sold in February last year. Cumulative sales (including exports) for the company for the fiscal are 806,354 nos., a growth of 12% over 719,976 nos., sold last year. The company’s sales of commercial vehicles in February 2012 in the domestic market were 51,872 nos., a 26% growth, compared to 41,130 vehicles, sold in February last year. LCV sales were 32,540 nos., a growth of 38%, compared to 23,498 vehicles sold in February, last year. M&HCV sales stood at 19,332 nos., a growth of 10%, compared to 17,632 vehicles sold in February, last year. Cumulative sales of commercial vehicles in the domestic market for the fiscal are 471,917 nos., a growth of 19% over last year. Cumulative LCV sales are 286,880 nos., a growth of 26% over last year, while M&HCV sales stood at 185,037 nos., a growth of 10% over last year. 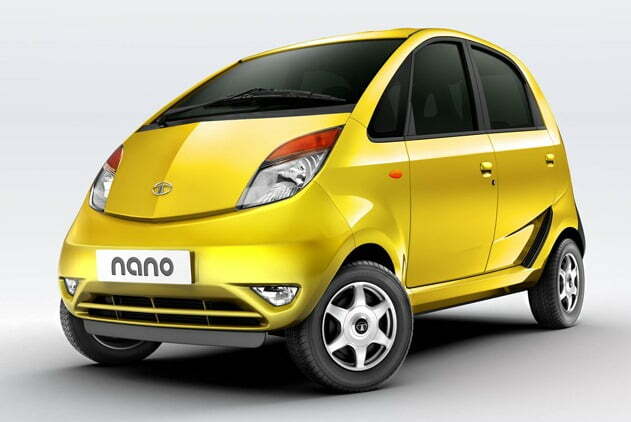 Sales of the Tata Nanowere 9,217 nos., higher by 12%, compared to 8,262 nos., sold in February, last year. The Indica range sales were 10,424 nos., higher by 4%, over 10,044 nos., sold in February, last year. The Indigo range recorded sales of 8,595 nos., lower by 4%, over 8,966 nos., sold in February, last year. The Sumo/ Safari/ Aria/ Venture range accounted for sales of 6,596 nos., a growth of 42%, over 4,637 nos., sold in February, last year.